Another of the Butterfly series. 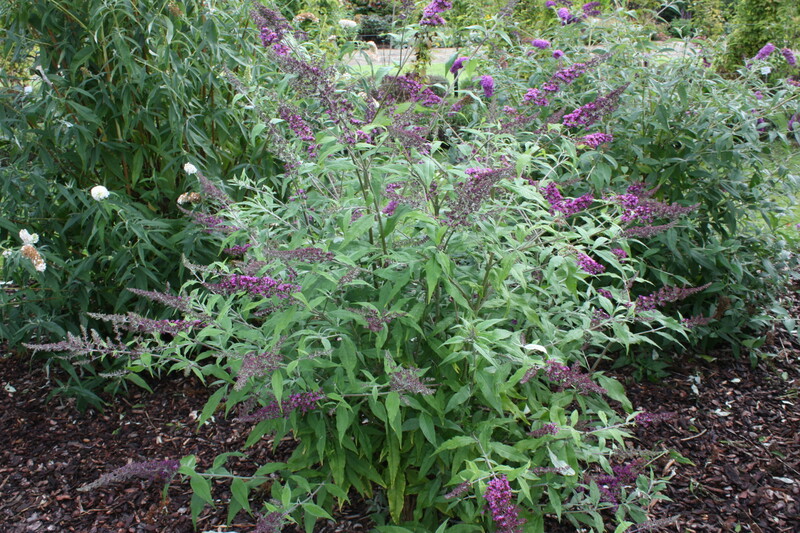 B. Camberwell Beauty is a semi-deciduous dwarf shrub that looks like a dwarf form of B. ‘Dartmoor’. 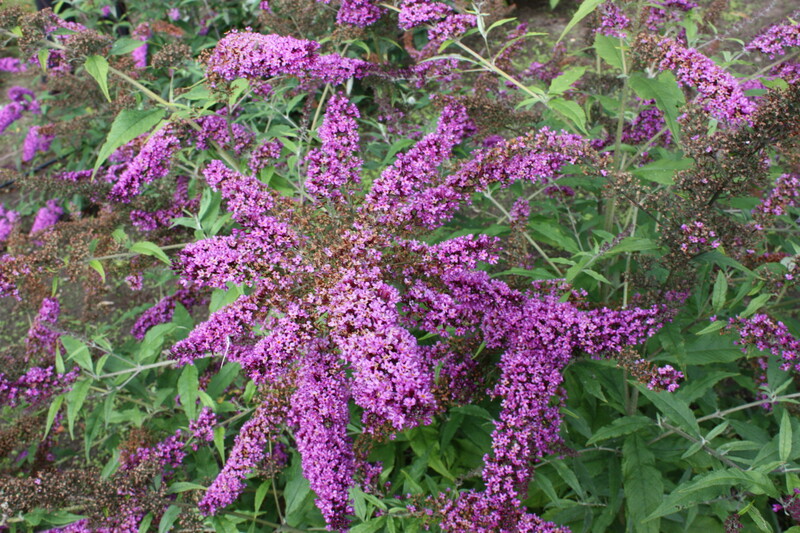 It is distinguished by its profuse deep-purple flowers in late summer to early autumn. The foliage is unremarkable, the leaves being medium green and of an average size for the species. 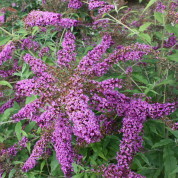 A small cultivar of Butterfly Bush, so ideal where space is limited. 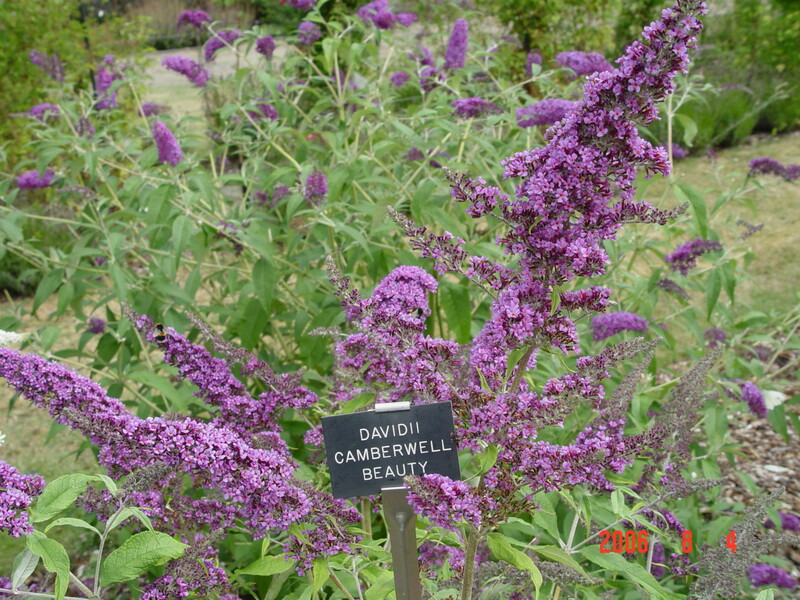 Buddleja ‘Camberwell Beauty’ is a cultivar raised by Elizabeth Keep in her garden after her retirement from East Malling Research Station in 1983. Elizabeth’s main objective was to breed shorter cultivars with a range of colours. 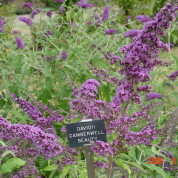 Elizabeth produced a series of cultivars which were all named after British butterflies. 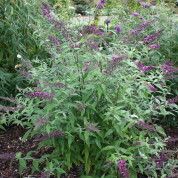 Later in the year close up images of the flowers and leaves will be added along with a botanical description.